You might not know Amadeus by name, but hundreds of millions of travelers use it each year. Whether you’re traveling for work or vacation, most consumers book their flights through one of a handful of bespoke reservation systems used across the commercial aviation industry. Amadeus is one of the largest reservation systems, serving customers of Air France, British Airways, Icelandair, Qantas and more. And each reservation system has to be able to talk to each other through the global distribution system backchannel. Without these interconnected systems, most governments have no idea who’s coming and going. Even in this day and age of passwords for everything and facial recognition at the departure gate, all that sits between you and someone rebooking a flight is a passenger’s surname and the booking reference on your ticket, known as the passenger name record — or PNR. But these outdated and archaic passenger records systems needed to share travelers’ data internationally never considered security on the scale that’s needed today, and are woefully inadequate in keeping passenger records safe. Israeli security researcher Noam Rotem knows all too well. Rotem explained in a write-up, shared with TechCrunch before his public disclosure, that he could plug in anyone’s booking reference in a buggy web address on Israeli airline El Al’s website — in spite of being required to enter a surname on the website’s check-in page. That not only lowers the bar for someone wanting to manipulate a person’s booking, such as changing seats and rerouting frequent flier numbers, said Rotem, but it’s also easy to obtain a person’s personal information, such as their phone number, and email and home addresses, from the airline. How secure is the six-digit booking reference itself? History says that it’s still far too easy to obtain. If your six-digit booking reference isn’t already on your boarding pass, ticket or luggage tag, you’ll still find it embedded in the barcode. That barcode, decrypted several years ago, can be easily read by most mobile barcode apps, making it easy for criminals to walk around the check-in area or departure lounge and scan a photo of your ticket when you’re not looking. Worse, the average hacker wouldn’t have to leave their house. 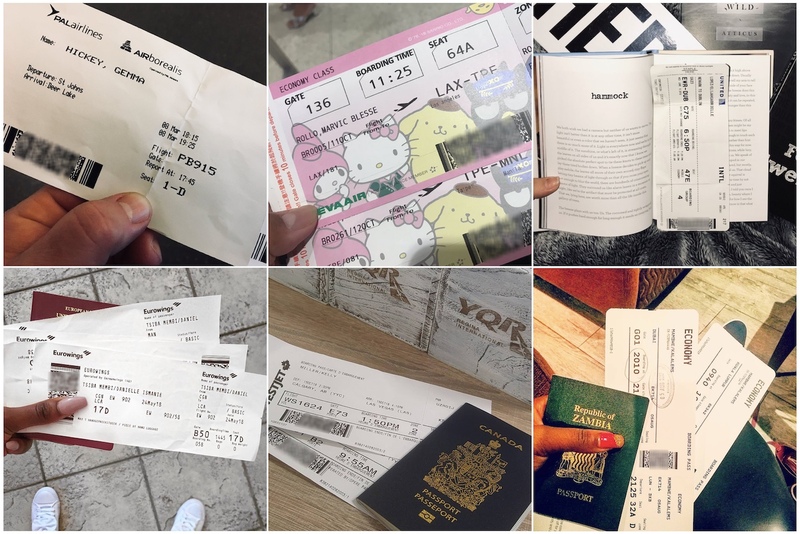 Dozens of people post their boarding passes — and their barcodes — to Twitter and Instagram every day, under the hashtags #boardingpass and #planetickets. But Rotem said that inherent weaknesses in how reservation systems generate passenger name record numbers in the first place made it easy to brute-force any Amadeus-linked airline website with a hacker’s own generated booking references. A skilled attacker could, for example, use this technique to book their own flights or siphon off accumulated air miles. A bored hacker, however, could wreak havoc on any number of passengers’ credit cards. In all, Amadeus’ website claims it supports more than 200 airlines. We were curious how far the vulnerability went. Using cookie data collected from El Al, TechCrunch was able to find dozens of other affected airlines using data collected by RiskIQ, a cyberthreat intelligence firm, which scours the web for information. “During RiskIQ’s crawls, our crawlers act like the browser they are instructed to emulate, which means they will maintain cookies and other site-specific metadata,” said Yonathan Klijnsma, a threat researcher at RiskIQ. We reached out to several of the larger airlines believed to be affected by the vulnerability, but nobody from Air France, British Airways, Icelandair or Qantas commented when reached prior to publication. Rotem suggested bot protection mechanisms and limits to how many requests can be submitted during a certain period of time could prevent automated attacks in the future, but that the underlying problems remain. That isn’t likely to change without an industry-wide effort to change how reservations are made. In reality, we’re stuck with PNR for a while — and it’s a problem that’s not going away any time soon.